Announcing the release of the How Weird Street Faire Volume 1 CD! 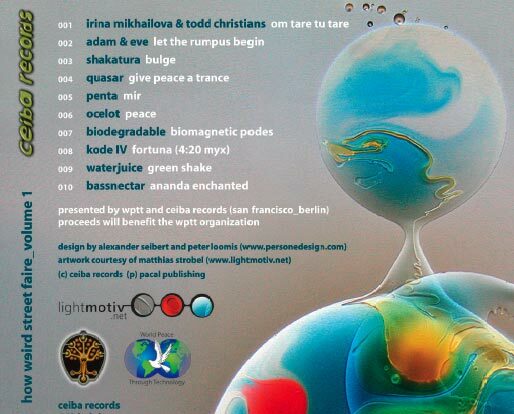 Featuring performers from past and present Street Faires, this CD is an unusual mix of ambient, breaks and trance. Many of the tracks were composed with a Peace theme for this year's event. The CD is available at Ceiba Records at 463 Haight (Lower Haight) in San Francisco. CDs are also available online from Ceiba for $14.99. Many thanks to the artists and Ceiba Records for making this happen.